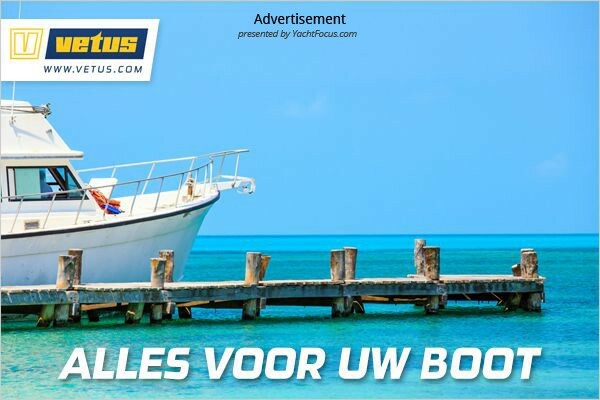 Te bekijken in verkoophaven/showroom:	Nee , Port Forum, Spain. 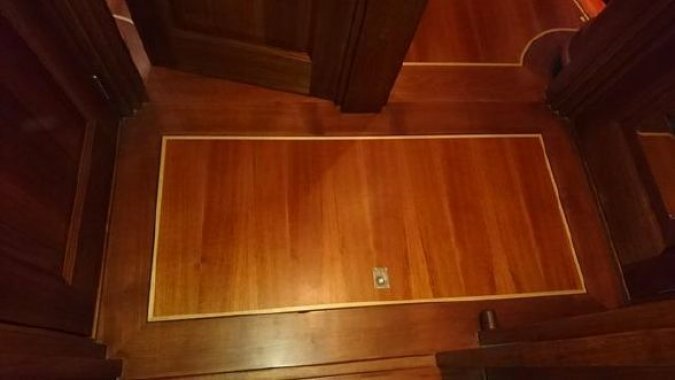 This beautiful Van Meer design blends classic features with modern technology and workmanship. 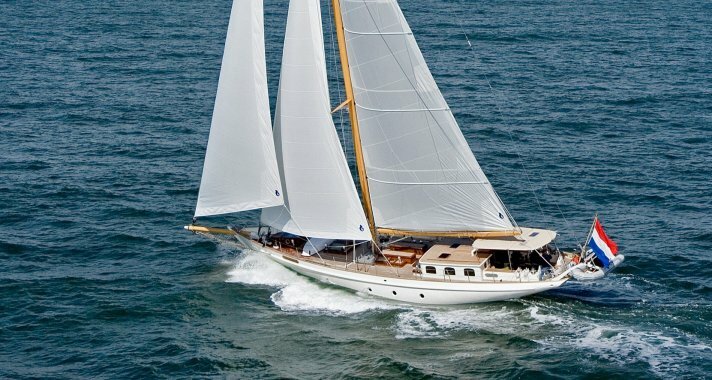 An aluminium stunner, boasting carbon mast and lifting keel. 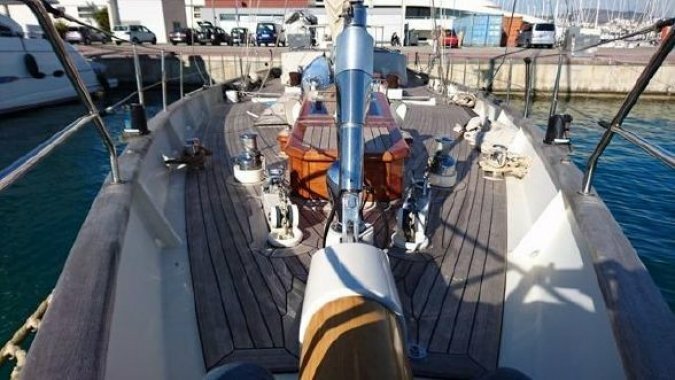 Whilst extremely stable, her lightweight build makes her a pleasure to sail. 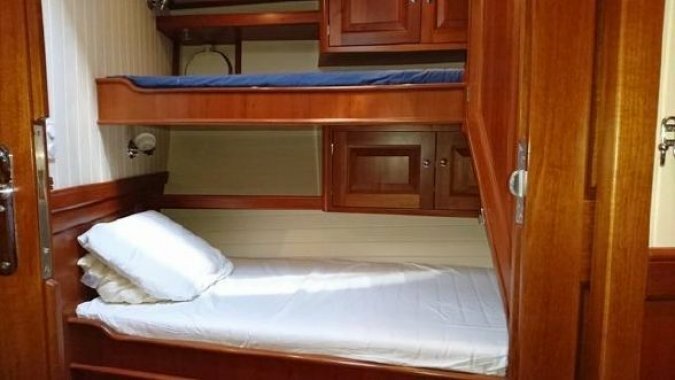 The interior features some of the finest carpentry seen on a modern yacht, coupled with a layout which offers great use of space and light whilst combining openness and privacy. 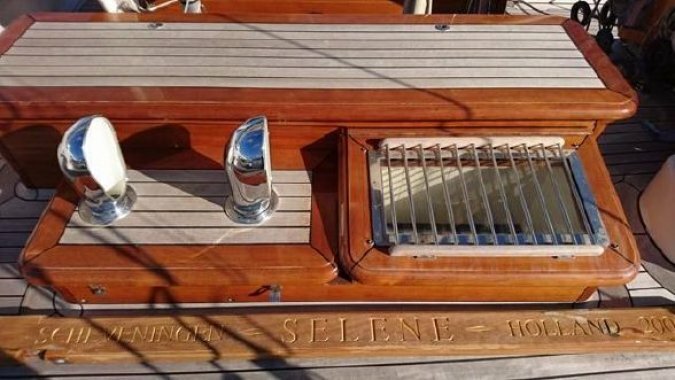 Selena has a centerboard (1.93- 3.89m )which enables you cruising in shallow waters and she can be dried out on any bottom. 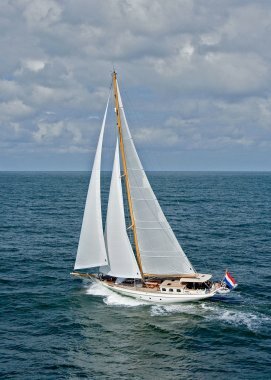 She is now looking for a new demanding owner who will be surprised by all the possibilities of Selene. 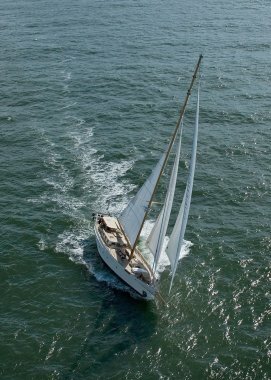 - Keel : NACA profiled, electrically operated centerboard. - Rudder : NACA profiled, balanced and mechanically operated. • Anchor locker/storage with watertight bulkhead aft. 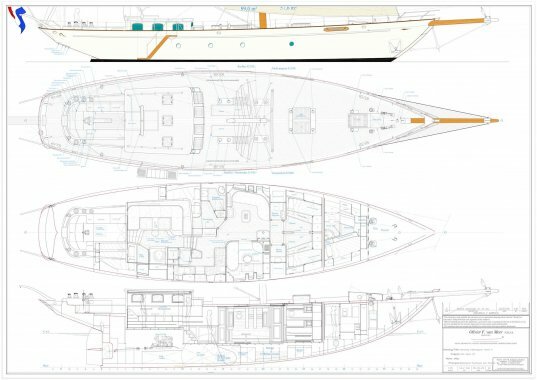 • Complete crew quarters with entrance/escape hatch to forward deck and watertight bulkhead aft. 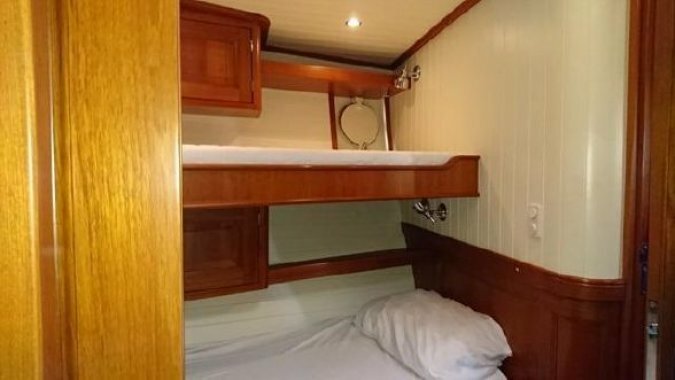 • Double guest cabins to port and starboard side. 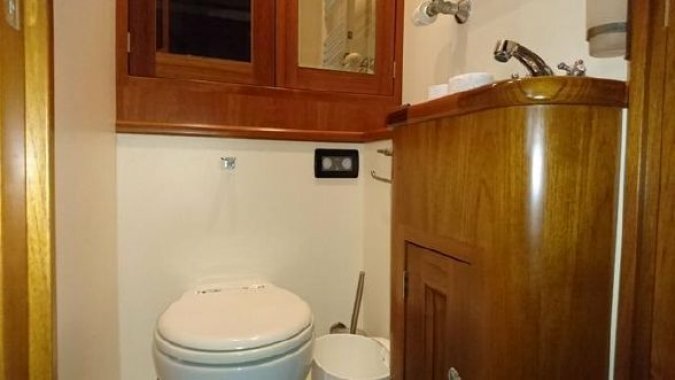 • Toilet only to port side. • Bathroom with shower and washbasin to starboard side. 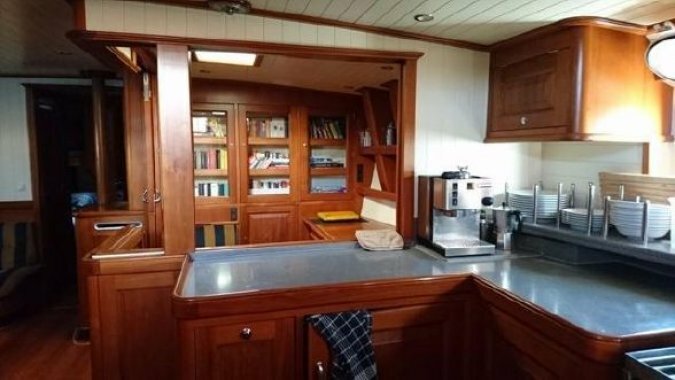 • Galley to starboard side. 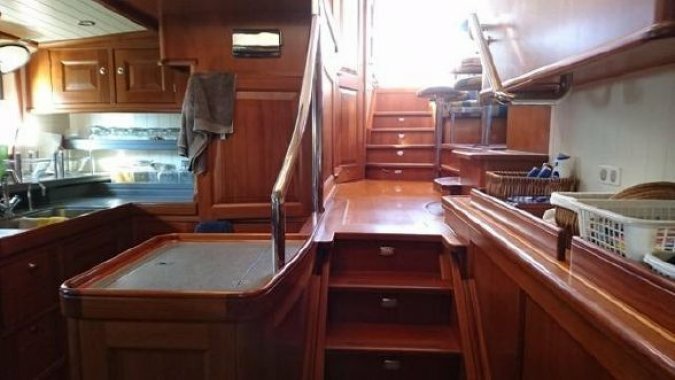 • Companionway with steps to upper level in center. • Complete owners bathroom to port side. 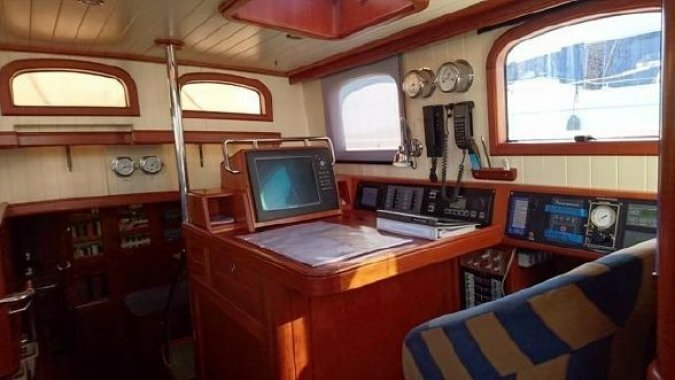 • Owners cabin to port side. • Engine room with access from cockpit beneath deckhouse. 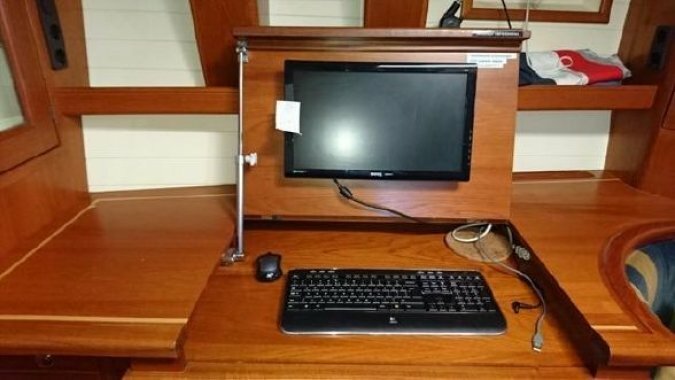 • Navigation area/table to starboard side. 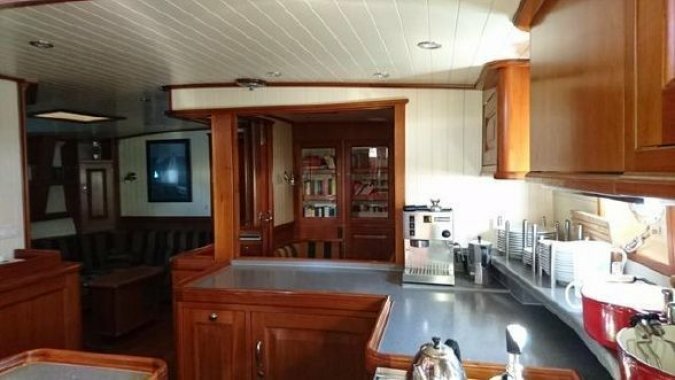 • Dining area to port side. 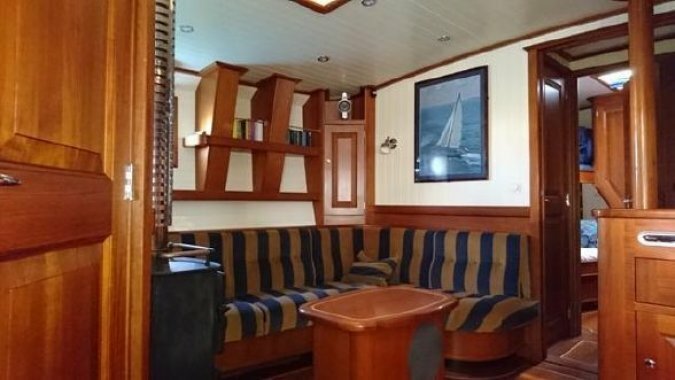 • Guest cabin to starboard side. • Steps to cockpit in center. 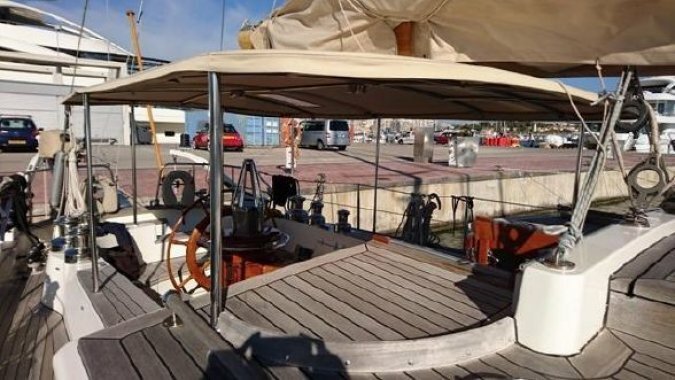 • Forward deck area with access to chainlocker and crew quarters. 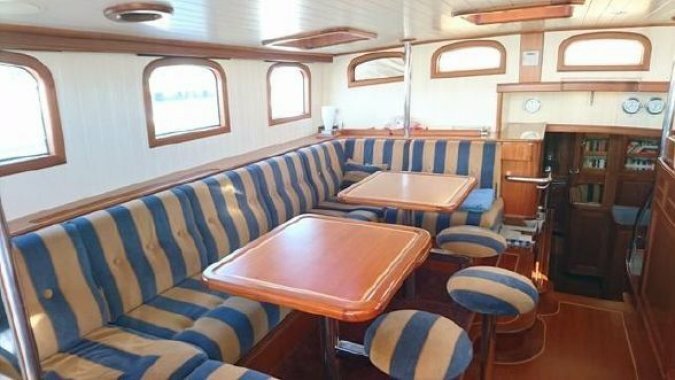 • Seating area with tables aft of main mast. • Force 10 gas cooker / oven. The 228HP Steyr M16 TCAM – MO256H45 is coupled to a Newage transmission. Fuel filtering : Fuel/water separators in fuel supply with built-in vent system in fuel tank fillers. The overall cosmetic condition was found satisfactory, no significant leaks of any kind were detected. Manual steering is available from the main steering position in the cockpit and is operated by a manual steering pump. 1. Mastervolt Whisper 12Kw generator, installed in a silent box in the engine room. Oil and coolant levels were within margins. 2. Fisher Panda 3,5Kw, installed in a silent box in the engine room. 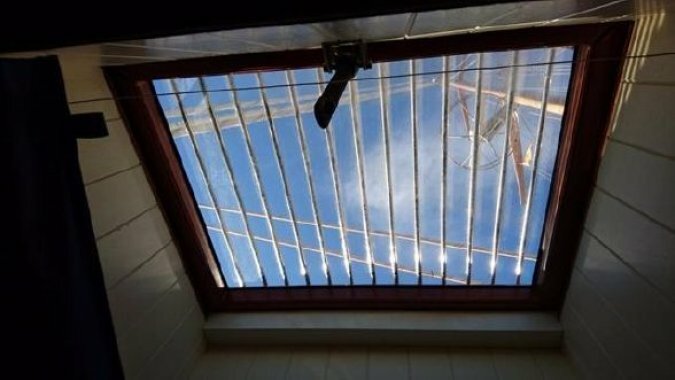 • Electrical engine room ventilation, manually operated. • Dual Jabsco 4,8 gph fresh water pumps with expansion tank. • 50 ltr calorifier, electrically heating or by Kabola diesel burner. • Grey and black water discharge into holding tank. 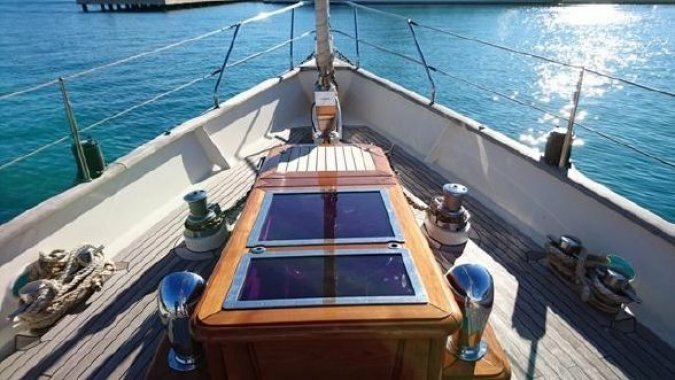 • Dedicated electrical/manual bilge pumping system with manifold in engine room. • Manual bilge pumps in cockpit and chainlocker. • Hydraulic 25HP bowthruster, operated by the engine driven pump. • Aquamatic reverse osmosis system with sufficient capacity. • Hydraulic powerpack in engine room for windlasses and Reckman furlers operation. • 220VAC and 24VDC systems with dedicated, breaker protected, distribution panels in engine room. • 12x 2VDC batteries of approximately 800AH for domestic services. • 2x 12VDC batteries exclusively for main engine starting. • Engine driven 24VDC / 90 amp alternator. • 1x Mastervolt 24VDC Mass Sine 24/5000W Inverter. Main helm position in cockpit. • Main engine control and starting panel. • Main engine control lever. 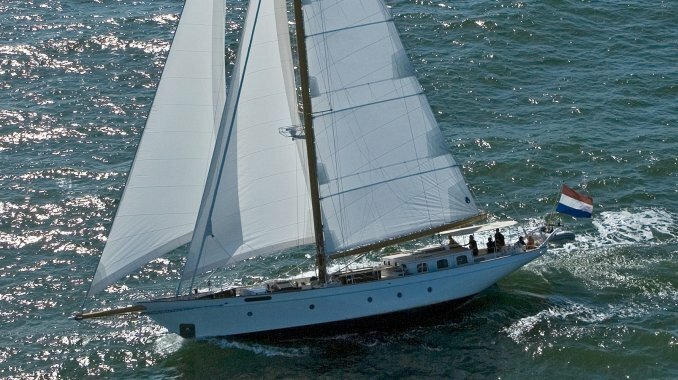 • Main mast (deck stepped and with 3 spreaders) & boom are from aluminum with full battened mainsail and lazy jacks. • Genua furler from Reckman, electro/hydraulically operated. 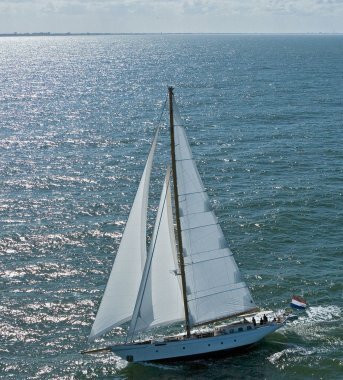 • Forestay with Reckman furler, electro/hydraulically operated. • Cutter stay with Reckman furler, electro/hydraulically operated. • Hydraulic backstay adjuster from Holmatro. • Andersen electric self-tailing winches: 2x 68ST, 3x 58ST, 2x 52ST. • Lewmar self-tailing manual winches: 2x 52ST. • Sheet travelers, blocks, runners & stoppers are from Lewmar Ocean line. 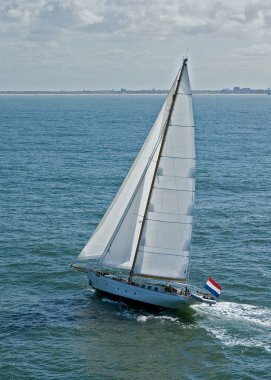 • Main sail, Genoa, foresail, staysail, gennaker. • Sheets, outhauls, halyards and topping lift from Spectra and Admiral. • Standing rigging from Dyform with Gibb open turnbuckels. • Auto/manual fire extinguishing system in engine room. • AFFT 2kg foam fire extinguishers (3x). • AFFT 3kg foam fire extinguishers (2x).